Roband Electronics is pleased to announce that its Environmental Management Systems (EMS) has been successf ully recertified to ISO 14001 – and this time to the new ISO 14001:2015 standard. The EMS is used to manage impacts, reduce risk, identify opportunities for cost savings and address customers’ needs. Carbon emissions have been reduced by 2%, waste by 5% and electricity by 9%. The new ISO 14001 standard has extra requirements, including a strong focus on leadership & alignment to the business strategy.  ESHCon guided Roband through the transition process starting with an ISO 14001 Gap Analysis. Based in Charlwood near Gatwick Airport, Roband is an independent British company specialising in the design, development, manufacture and support of electronic power supplies. Roband is celebrating its 60th anniversary this year.